Druck & Bindung Machinery Corp. 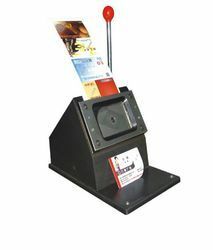 Fully automatic card cutter machine can cut id cards automaticallyin single press of button. 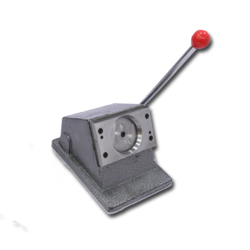 - 2x2 Precision hand-held die cutter. Facilitated by technically advanced process, we are presenting a distinguished collection of PVC Card Cutter Machine. We are highly appreciated for designing Electric PVC Card Cutters. These cutters are uniquely designed using high-grade basic material in line with the prevailing markets trends. Afterwards, these cutters are tested on certain parameters to ensure their below cited. Matching up with the requirements of our clients, we are involved in offering PVC Card Cutter.